When the Novus Ordo Missae was first promulgated, it was presumed, almost assumed, that a simplification of the liturgy would mean that the new Catholic Mass would be more acceptable to Protestants. Though this was certainly not a primary motive in promulgating the new Mass, some envisioned that true ecumenical progress could come from the Novus Ordo, and this was seen as a happy consequence of its promulgation. Given that theory, it is ironic that the Novus Ordo that we often get in practice actually has a contrary effect. I am referring to what others have called the "Can't Take a Protestant to a Bad Novus Ordo" phenomenon. For a moment let us forget about rubrics and papal instruction, on lofty ideals of how the Mass ought to be celebrated and what we ought to get out of it - let us put it all aside and instead look at the experience of an average Catholic at your average parish. Judging by my experience in my own region, I would say that probably 15% of the liturgies are what I would call more or less in line with what the Church envisions, while the other 85% deviate from the Church's ideal, some to a greater degree than others. You know what I am talking about - inventive liturgies, ad libbed prayers, weak homilies, terrible music, no spiritual development, little sense of the transcendent, bad art, etc. etc. I don't think I need to go on listing the catalog of Novus Ordo bizarrities here. This fact is bad enough for the Church as it is, but the problem is compounded from an apologetical standpoint when we start to bring into the equation Protestants who are seeking the Truth or whom we actively recruit to come to Mass. 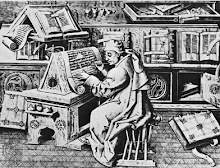 It is standard fare of Catholic apologetics to insist upon the superiority of the Mass to any other form of Christian worship, due to its institution by Christ, the sacramental presence of Christ in the Eucharist, the ordering of the Mass towards the glorification of God, the participation of the angels and the saints in the worship, the immense graces made available, etc. This is all well and good, but it is when we actually first convince our Protestant friend to attend a Mass that our real problem begins. If we are lucky, we can convince him to come to Mass where and when we choose, and go alongside with him to ensure his experience is authentic. 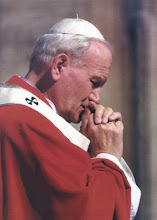 He of course will want to know why, in the Universal Church, must he only attend a certain, limited amount of parishes and not others, and we will have to explain to him how the vast majority of Catholic parishes are not suitable places to grow in spirituality, that they may not preach orthodoxy, that despite professing, "One, Holy, Catholic and Apostolic Church," the reality on the ground is that few parishes actually practice the historic faith as professed in the Creed. The Protestant will invariably ask why this is, and then we introduce them to the entire sorry history of the post-Vatican II era, introducing the Protestant to terms like "liturgical abuse" and other things he would have never heard or even thought of had he not expressed interest in Catholicism; he must learn about liturgical worship and lose his liturgical innocence in the same breath - in short, he must be made aware that since Vatican II, the Church has apparently become schizophrenic. If he ventures to go off on his own to check out a Catholic Mass and randomly attends one of these progressive parishes, he will see confirmation of all of this, at which point he may wonder how the Church professed in the Creed and defended by Catholic apologists relates to the freak-show liturgy and limp-wristed homily he just had to endure. If anything, he goes away shaking his head wondering what this thing called 'Catholicism' is. To put this into a concrete example: I have a very dear friend, a Protestant, who loves the Lord tremendously, has a hearty respect for Church history and the Fathers, and in all things is an exemplar of a good Christian soul, though being non-Catholic, his faith is imperfect. I desire with all my heart for this friend to come into the fullness of faith. And yet, if he were to suddenly get interested in Catholicism and go to his local Catholic parish on a whim, what he would see would make him laugh (or cry? ), and he would come away, not more impressed by the faith, but rather less interested than before. If he were ever to come to a Mass, I would have to go out of my way to make certain that he only went to a parish that I approved of him going to - and this state of affairs ought not be. 1. It is part of the Church's teaching that God is encountered in the Mass in an immediate and exceptional manner. Does the nature of the liturgy reflect this reality? If we teach that the Eucharistic liturgy is an encounter with the divine, do sparsely decorated sanctuaries, sloppily dressed altar boys, ad libbed, flippant prayers, and banal, poorly executed music serve to reinforce this ideal? Do they not rather detract from it, and leave the outside observer with the impression that we do not practice what we preach? That our faith at best suffers from a disconnect between praxis and dogma and at worst is a hypocritical sham? 2. Our faith tells us God becomes present to us through the Church's liturgical action. We have already examined the role of the clergy; what about the disposition of the congregation? Do they testify that liturgy is a meeting with God? Lex orandi, lex credendi. We know that these weak liturgies beget congregations who are likewise lukewarm in their participation: people sloppily or immodestly dressed, yammering in the Church, clapping as at performances, little participation in singing the Mass parts, checking cell phones and playing with iPods during the liturgy, chewing gum, and acting in general in a way that is not fitting with the dignity of the liturgy.If an outside observer, knowing what we claim about our liturgy, sees such behavior on the part of the people who claim to be benefiting from the fruits of the Mass, will they not presume that Mass itself must be no less casual than the people attending it? Will they not think that all this talk about Christ being present during the Mass is simply empty words, since the people obviously do not behave as if this were true? I heard a story once about a murderer in England who was about to be hanged. As he was approaching the gallows, a pastor was walking beside him, telling him, somewhat dryly, as if by rote, about God's forgiveness and mercy. The condemned man looked at the pastor and said, "Do you really believe that? If that were true, I would crawl across England on broken glass just to tell people." Similarly, when an observer witnesses the relaxed, casual, non-chalant way that many of our Masses are said, will he not likewise assume that we either do not really believe what we say or that it is not true? 3. What about the manner of life of the Catholics a Protestant is likely to encounter in these poorly executed Novus Ordo liturgies? If the Faith, and the Mass in particular, really do make available all of the graces that we claim in our apologetics, then Catholics ought to demonstrate the effects of this grace in their lives. Granted, each person is an individual, and tares are always found in the midst of the wheat, but I personally have frequently been disheartened by the worldliness of people I have encountered the times I have had to go to a progressive parish: cussing and blasphemy in the parking lot, all out drunkenness at parish events, liberal and anti-Catholic social causes advocated from the pulpit and supported by the parishioners, and in general a demeanor among many parishioners that reveals a total lack of spiritual formation or even an interest in spiritual things. I want to avoid here making blanket judgments about entire parishes, but I think you know what I am getting at - parishes that are spiritually alive tend to bear good fruit in the lives of their parishioners, while parishes that are spiritually dead tend to replace authentic spirituality with a lot of social causes and parish activities that give the illusion of vibrancy but do not actually contribute to the holiness of anybody. Thus, you tend to find a spirit of worldliness that pervades progressive parishes, a worldliness that will stick out like a sore thumb to any devout Protestant and reinforce their belief that the Catholic faith is something shallow. 4. Another issue likely to raise a red flag with a Protestant inquirer is the fact that poor liturgies tend to go hand in hand with wimpy homiletics. 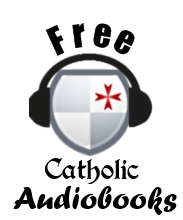 If anything turns a Protestant off to Catholicism, it is listening to a bad homily. And modern Catholicism has lots of bad homilies. Shallow theology, ignorance of Scripture and Tradition, lack of spiritual insight and sometimes heresy and worldliness, coupled with a dull delivery, certainly contribute to turn Protestants (and even many Catholics) off. But fortunately, the flip side is also true - few things are able to reach out and really draw a Protestant in like a good, solid homily from a holy priest. This was one of the things that people loved about Father Corapi (er, I mean, the Black Sheep Dog) before his fall was his stellar homilies. This is true with each of these issues - if poor liturgies or music or preaching makes Protestants laugh at us, then reverent liturgies, excellent music and powerful preaching makes them stand up and take notice. Am I being overly sensitive about this issue of not feeling comfortable taking a Protestant to a bad Novus Ordo Mass? Maybe; we have to remember that it is the Holy Spirit's job to convert people, not our own, and that things that seem out of place to us might not to a Protestant. When I first came back to the Church, I was thrilled that there was a liturgy at all, and it took many years before I started questioning the nature of that liturgy. Then again, if we know that something like terrible music or a worldly pastor will be a stumbling block to one interested in the Faith, I don't think we should intentionally put that stumbling block before them. The real issue is that this is an unjust dilemma - being in the position of defending the Church and the liturgy with our words and writing but then having to apologize for the actual state of it in practice when trying to evangelize others. It simply ought not to be; the liturgy should be the liturgy, and the fact that it is not so, and how this effects my evangelization of my non-Catholic friends, is a problem I have not yet successfully resolved. Thank you again for your patronage of this blog. If anything you have ever read on here has benefited you in any way, please consider sending a link to this site your friends or liking us on Facebook. Thank you for so clearly explaining this problem. I have felt precisely the same thing, so you are not alone. I feel that even if I could encourage those I know to convert they would still have to wade the dreadful waters of heresy and blasphemy which so many of the Church's ministers propagate. 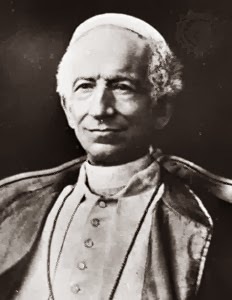 If they had fallen into unorthodoxy by being non-Catholic before conversion it is a very serious threat that a convert, having little experience, could fall into even worse heresy by following the teaching of some priest. The terrible state of the liturgy exasperates things because someone viewing the overwhelming banality in the vast majority of parishes might take this to indicate a general banality about Catholicism. Orthodoxy and orthopraxy are not the most important things in the world; they are not sufficient for holiness and salvation. This is something many traditional Catholics tend to forget. However they are absolutely *necessary* for holiness and salvation. How can one be saved if he does not believe the orthodox faith? How can one be holy if he does not truly honor Christ in the Eucharist? It is clear that if we are to reach the most important stages of holiness we must first have sound doctrine and sound liturgy. 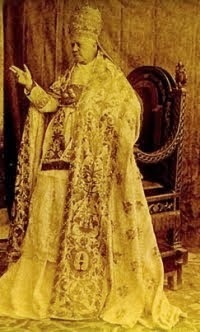 Remember what Our Lady of Akita said: "Pray very much for the Pope, Bishops, and Priests. Since your Baptism you have always prayed faithfully for them. Continue to pray very much...very much." Let us pray for them--especially by means of the rosary--that they may uphold the true faith and honor Christ in the liturgy, in order that souls, both Catholic and non-Catholic, may be saved. About two weeks ago, I went to confession for the first time in more than 25 years. Despite the presence of a beautiful confessional, we entered a large cupboard where they keep various brooms, a filing cabinet and a big safe. I sat in front of the priest on a small wooden chair. He told me: "We don't judge here." He listened to me with a smile and then recited a prayer of reconciliation. No punishment. He told me to come back in six months or so if I feel like it. In a way, I can't think of a more terrible punishment. This is one of the top posts I've read this year anywhere on the blogosphere. This is one of those subjects that hits every well-informed Catholic, and so it's good to see it finally talked about. One of my theories is that the Devil had to go into overdrive because the age we are living in with high level communication has led to numerous conversions, and if liturgy and clergy were strongly orthodox then the whole world would be converted. Think about how often us orthodox Catholics are bogged down with 'damage control' (having to explain away an abuse or scandal) rather than having that time and energy to preach to others. No matter how it is really spun, that nagging fear and worry will always be with me whenever I get the urge to invite someone to Mass. This is especially true if *I* am the only one in that Mass that doesn't go with the flow on various abuses (e.g. holding hands at Our Father), and so my friend will look at *Me* as the odd man out in Mass and wonder what the heck. I guess the only 'safe' strategy here is for you to make their first experience the right one, then they will have that to compare with others. So I would actually be more comfortable inviting them the first (even 2nd-3rd) time to a good parish, then they will have that 'first impression' burned into their head. "This is one of the top posts I've read this year anywhere on the blogosphere." Nick, I don't know if it's that the devil had to go into overdrive because of all the good things that were happening. Our Lady of LaSalette said that many devils would be released from hell near the end of the 19th century to make war on the Church, and Pope Leo's vision that gave us the St Michael prayers is consistent with this. Likewise Our Lady of Good Success several hundred years earlier spoke of worldly and sinful clergy and specified the end of the 20th century. It seems to me that we live in an age of prophecy, as is any age. I also have this trouble when inviting people to mass, though I think in some ways it is somewhat easier now that I exclusively attend the old latin mass. It removes the grey areas of "the priest here is orthodox but the music director is weak," or otherwise trying to balance all of the halfway posts of the more orthodox NO parishes. Maybe you'll see this as a simplification, but it is easier now that I can simply say "there is a false religion occupying the Church. Some of those people are fighting to make things normal again, but those of us who are in a position to see what's happened cannot in justice participate in a compromise with the new religion." Suggesting the Novus Ordo is a "new religion" or a "false religion" is not at all something I was insinuating here, nor an opinion I share. I think we have a legitimate expression of the true religion that is poorly implemented in most places and probably should never have been created, at least the way it was. But calling it false is too much. Besides, even if that was the case, how would it help a Protestant to convert? Who would want to convert to a Church that was entirely "taken over" by a false religion? First I would have to say that the question of whether or not it's true that there is a false religion in the Church comes before the question of whether or not it would be an appealing thing to tell a protestant. I suspect I am probably more extreme on this question than you, which I certainly don't hold against you as I do not believe there are obvious or easy answers about the state of the Church today, and that people who are obviously on the same side should thus avoid pretend-excommunicating each other over such disagreements (especially on the internet). However, I also suspect that the difference on this point might be at least to some degree a question more of language than of principles. In that I do not agree with SSPV or other groups who claim to have discovered heresy in the texts of the new mass or that it is always and everywhere invalid, I can on the one hand agree that the liturgy itself still may be a legitimate Catholic expression. However, I'm guessing that because you can say "probably should never have been created," you can agree that there are problems here that go beyond bad implementation and abuses. My thought on the false religion in the Church is not solely a liturgical one. I find it hard to believe someone has the Catholic faith who denies our Lord's right to reign over secular society or who thinks it is a virtue to pray with members of false religions to give just a couple example (I'm sure you are aware of many more), and I therefore feel I can say there is a false religion living and guiding a large portion of the Church alongside the true faith. 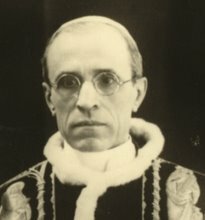 But I also recognize I have no authority to declare anyone outside the Church, and further that many who accept what I consider errors would desire a more authentic Catholic expression if it were offered to them by their bishops and pastors rather than by fringe groups, and I thus tire of trady groups who talk as if the NO is made up of wicked and deceptive people. Unless I were to say with the sedevacantists that those people are in no sense Catholic, or become properly relativistic and declare that the large portion of priests in my country who are OK with contraception are in no way being guided by a force contrary to the Faith, I see no way around saying there is a false religion occupying and guiding the Church. You may not like the expression, but I suspect if we look at the facts we're probably quite close to agreement. I find it a useful expression, but I also understand why it can be dangerous and misleading. My main point was only that I now find it easier to invite someone to mass because I can simply say "go to the latin mass," instead of "make sure you find a mass with with the following qulifications," followed by my personal list of what I think makes for an acceptable NO. "Who would want to convert to a Church that was entirely 'taken over' by a false religion?'" I don't know. I certainly did, though I was beginning to suspect this was the case even in RCIA (and largely because of RCIA). Further, I know many people I meet at latin masses have come from protestant backgrounds. I have no statistics as to how their numbers compare with converts in general, but there they are for whatever reason. I suspect it is because many converts want the Church to really be as Catholic as possible, and even people who stand by the NO seem to be coming to the conclusion that this is not the case today. Regardless, my main point remains it is now much easier to say "just go to the latin mass" with or without explanations about a false religion in the Church. I apologize for the length of my comments. I generally try to avoid arguing on the internet. 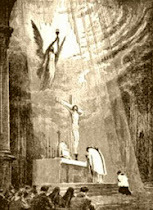 Even the worst Mass that has ever been offered is of incalculably more benefit than the best prot service ever offered. I wish that a Catholic Prelate would just speak truth to the prots and tell them they do not Worship God in their services . Singing a few songs, reading a few verses from the Bible, hearing a speech, and then singing a few more songs is not worship because those are solely the acts of man and prot theology holds that all acts of men are as bloody rags; and getting together with a few like minded friends and making a pile of bloody rags aint worship. I have struggled with this sort of thing myself. The only Mass I have ever taken any non Catholic has been the traditional Latin Mass and that is the only one I would ever take anyone since I do not have an Eastern Rite parish near me. The Novus Ordo, even when done well, is still a fabricated Liturgy that is a sharp break with over a thousand years of the Church's liturgical tradition. No amount of good catechesis is going to have much of an impact when the Mass is ad libbed, the music is sentimental piano tunes, there are girls in the sanctuary and the altar is a butchers block table and the priest gives bland sermons about how much God loves everyone. I have noticed that while some of the new translations are OK the Mass is pretty much being celebrated the same. As long as that is done it will be an uphill battle. A few better translations do not make up for the rest of the mess. The only time I can really stomach a Novus Ordo is during the week when there is no banal music, applause etc. but even then there are at least two or three "Eucharistic ministers" to help the priest give out Holy Communion to the 12-15 people that actually show up. I don't know short of the full return to the Latin Mass as the normative liturgy what would help bring in Protestants or help convert Catholics who are lukewarm. The Novus Ordo has been a disaster overall and I pray that the Church in the coming century will see that and take action before there are no parishes left. "I guess the only 'safe' strategy here is for you to make their first experience the right one, "
I thank God I was first introduced to Catholic Christianity via the Marounite rite which suffers from none of the cr*p that seems to have afflicted the latin/Roman/Western rite of the Catholic Church; the atmosphere is beautiful, reverent and accessible; as a first-timer back in april 2010, I wept throughout the whole service, same the second time around, and could not resist Christ's pull upon my spirit - I have spoken of my conversion here and upon several other orthodox Catholic blogs so will not weary readers with its retelling - suffice it to say, forget the collapsed roman rite, flee to Christ's jewels - the varied Eastern rites of the Catholic Church - all in full communion with rome - all accepting of folk without cultural or ethnospecific affiliation. Seek a Marounite Parish and steep your soul and that of the newcomer in Christ's glorious liturgy!! I thank God I'm a Marounite!! What better way for the evil one to take souls than by infiltrating the Catholic Church. I once heard a priest say that if those who created the Novus Ordo mass could have fast forwarded and see what is generally offered today, they would never have gone through with it. Most new masses are a travesty, let's be honest. And the evil one benefits heavily from what comes out of these types of masses and parishes - lukewarm, poorly catechized, ecumenical minded Catholics who go to mass on Sundays and maybe to confession every 6 months. What a great way for the evil one to steal souls. Once I learned the most basic aspect of what the mass is - the unblooday representation of the sacrifice at Calvary - it hit me - I wouldn't be sitting there talking to someone, reading the bulletin, enjoying the music, hoping the homily wasn't too long, haivng a casual attitude to accepting the Eucharistic (in my unconsecrated, unclean hand), leaving right after communion to avoid parking lot traffic and a 100 other common behaviors - I would be beside myself in utter awe at my Lord and his torn body nailed to a cross, adoring and loving him in the most solemn manner possible, barely able to move. Were supposed to meditate on this at the Holy Mass. Yet look around at the next Novus Ordo Mass and ask yourself if this is how we would act if we were before our Lord on the cross. 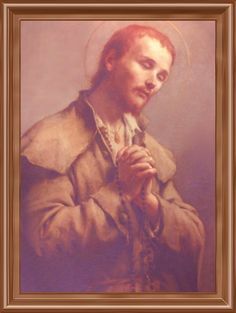 Now four years into The Latin Rite, we do things we never did before as lifetime Catholics - pray the daily family Rosary, do morning and evening prayers, attend 2-3 daily masses a week, do frequent and fervent confessions, pray constantly for the souls in Purgatory, invoke the help of the Blessed Mother, Blessed St. Joseph, our Gaurdian Angels, all the angels and saints daily. Why did we never do these things before. 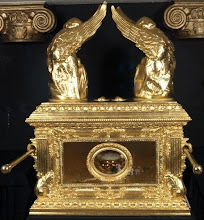 Because of a lukewarm, casual apporach to teh Faith where no one, not one priest or fellow parishioner, was telling us, pleading with us, to do these things to receive as many graces as possible. Why weren;t they? An agonizing eye opening experience was when we got together with fellow parish families for a "Disciples in Mission" prgram. We learned that most of them did not believe Catholicism is the one true Faith - they didn't even believe the Creed they mindlessly recited every week. We heard htis over and over - "My Catholic Faith is great for me but it's not for everyone. My protestant and Mormon friends love Jesus and I would never think they are wrong" - what??!!! Don't they know that their "friends" are in heresy? No, because no one tells them anything. Poorly catechized, lukewarm, casual Catholics - a fertile hunting ground for the evil one. As an Indian Orthodox syrian christian witha catholic father I really agree with you say. My fathet being a catholic I am a little partial towards catholic church but the difference in the way the mass is said in an orthodox and catholic church is enough to put me off the catholic mass. In the orthodox church, the congregation takes part in the rituals and singing and priest says the mass with confidence and piety. While I have noticed that in the catholic church , at least in the ones I have attended the mass is said as if it is a chore to be finished. Most of the time the priest is mumbling and can hardly be heard . Sometimes I think it is because of lack of proper training. 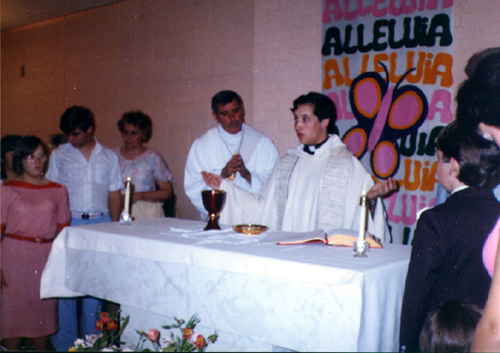 The priest looks too distracted and nervous and sometimes as if he doesnot care. I love watching the latin mass from vatican and think it heavenly and wish all catholic mass could be like that. Nice Post. I am a convert but I had no faith background. I was not even baptized. But, I had an experience with God (infused knowledge) and so I had to become Catholic. However, when I went to the Mass at my local parish I was VERY discouraged. I still became Catholic despite this, but I had no end of doubts because the liturgy was SO HORRIBLE. We had liturgical dancing and so many things I can't even get into. It was disgusting to say the least. I was tempted to become Eastern Orthodox because there is a parish very near me but I still remain Catholic. I wish I could go to a TLM but there are none that I could get to so I keep suffering in this ugly Mass. Hopefully I can make it into redemptive suffering sometime instead of just complaining. This explanation of the phenomenon is perfect. A similar experience just happened to me. However, I brought a friend who practices Buddhism, and is very interested more broadly in spiritual growth. He was open to the Catholic faith, but he left the Mass, saying rather earnestly, "This did nothing for me." As the author of this article eloquently states, "the vast majority of Catholic parishes are not suitable places to grow in spirituality." We droned a few horrible hymns, shook hands, drearily recited the Credo, listed to solo piano, etc., and then went on our way for the day. The prayers and hymns were projected onto mega screens all over the "sanctuary." It's a spiritually crushing experience. I now realize that I never should have brought him! The title implies that a good Novus Ordo service is possible. Good sacrilege is possible? Huh? The Novus Ordo is not intrinsically sacriligious. It can be done in such a way that is pleasing to God. If it couldn't, it would not be a legitimate rite of the Church, which we believe it is. Can someone post a link on YouTube or a video somewhere of a "good" Novus Ordo mass? Because I've honestly never seen one. Even on EWTN, which is supposed to be the pinnacle for how to do the NO mass reverently. It still doesn't look Catholic. True, it's an issue. But if it's any consolation, read the Old Testament. Imagine being Naomi, and Ruth wants to join the nation of Israel. "Okay, but remember that we are a stiff-necked people, who violate the Mosaic Law pretty much 24/7." Or imagine living during the Dual Monarchy, when some random Philistine or Aramaean expresses interest in joining the Kingdom of Judah and adopting the Israelite religion: "Well, actually, only two of the tribes worship at Jerusalem now, plus a few thousand in the Northern Kingdom. They have a false temple up there. Oh, and to get to the true Temple in Jerusalem, you'll have to walk past all of the altars to *your* gods where they butcher babies . . . And the priests are mostly corrupt, like the Davidic monarch. But he *is* the true king, and this *is* the true Temple!"